This Micro Credit Program by central government of India is not a new scheme. It is re-launched by the current government to facilitate the large portion of poor people. This program is for the rural households. As mentioned that under this program, the government will lend money up to Rs. 1 Lac to each rural household to make their livelihood better. This program is exclusively drawn to alleviate increasing poverty in the nation. Within next 3 to 5 years, the government has a plan to provide livelihood to the poor people. This will make their standard of living better and they can survive well. According to the Secretary of Rural Development, through SECC data the number of poor families will be identified. According to their livelihood the money will be disbursed to them. As of now 8.5 Cr poor families are being identified. Under this program, the rate of interest will be much lower than the usual bank rate that is 11%. This will take place due to intervention of the central government. 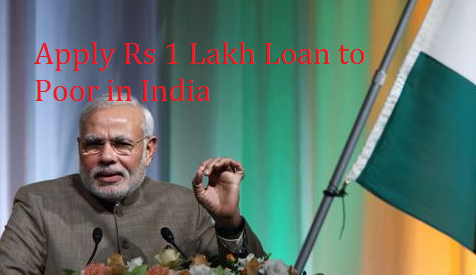 They will offer subsidised loan to the rural households. Only selective and specific livelihood will be compensated by lending the money. Not all the rural households will be eligible to get the loan at lower rate of interest. By 2019 all the 8.5 Cr households will be added to the creditors’ list. In rural areas most of the poor families are dependent on local moneylenders or some of them are getting loans from private micro finance companies. All these financing agencies and local moneylenders offer much higher rate of interest. To stop this, government has launched this plan. Another reason for launching this program is to alleviate poverty. Government is keen to improve the standard of living of the poor people across the nation. They are trying to pull the poor people out from the vicious circle of poverty. The central government will linkage bank accounts in a manner so that they can transfer nearly Rs. 60,000 Cr to create livelihood for poor people. This budget is set for the next two years that is by 2019. With this Micro Credit Plan, the government will be able to increase the income of the poor people. From now onwards these people do not need to depend on local moneylenders or micro finance companies that charge higher rate of interest. The Rural Development Ministry has collaborated with Animal Husbandry and Agricultural Ministry to implement the program. In this plan, the government will lend the money to increase the livelihood opportunity for the poor families. These families can effectively use their skills and resources through agricultural activities. On the other farmers can set up their poultry farms, animal husbandry farms and such to live their life. In this program, there will be 4% subvention provided to the farmers. Consequently they will have to bear only 7% of interest burden instead of 11% offered by the banks. Creditors who will make prompt repayment of the loans will get additional 3% subvention on the 7% interest. That means they have to bear only 4% interest burden on the loan amount instead of 7% or 11%. The loan amount will be disbursed according to the livelihood of the households. Once the poor families are identified, there will be easy disbursement of the loan, said by the Secretary of Rural Development. For making it more accessible the Rural Development Ministry is collaborating with several self help groups that helped increasing the micro finance in last few years.